6515 E Mill Plain Blvd., Vancouver, 360-597-4739, newvansterdam.com. 8 am-11 pm daily. New Vansterdam is a behemoth by pot shop standards, taking up an imposing amount of space in a Safeway-anchored strip mall. Opened in 2014, the shop has seen a few changes in its flow. Currently, printed menus greet you after the ID-checker does, followed by an expansive room jam-packed with glass cases flanking both sides of a walkway. 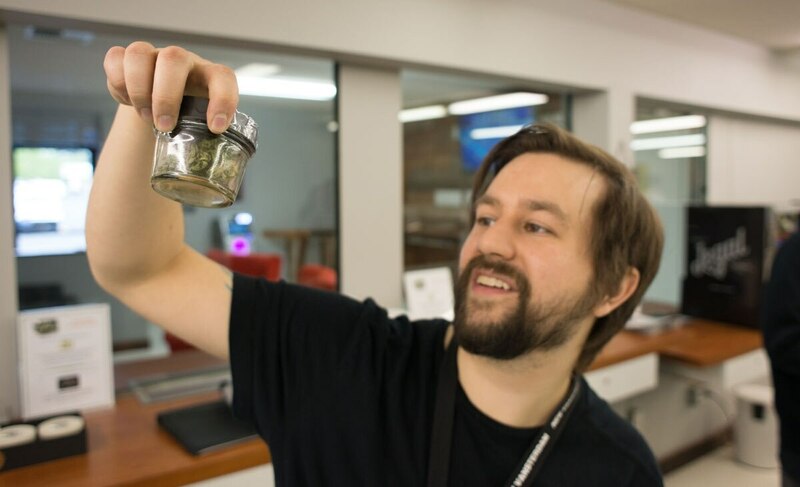 Negotiating the rambling layout can seem daunting, especially since things are frequently being tweaked, but New Van’s accommodating budtenders quickly offer their expertise if you look even slightly confused. The addition of New Vansterdam’s loyalty club (25 percent off on your 10th trip) and the presence of the Dogzilla hot dog truck (Thursday to Saturday) are enticing updates, while introverts and old pros have the option of ordering online for in-store pickup. Whether you’re in need of guidance and a snack or you’d prefer to barely talk to another person, New Van has you covered.